Go grand at the St. George, and enjoy one of the city's most opulent choices. 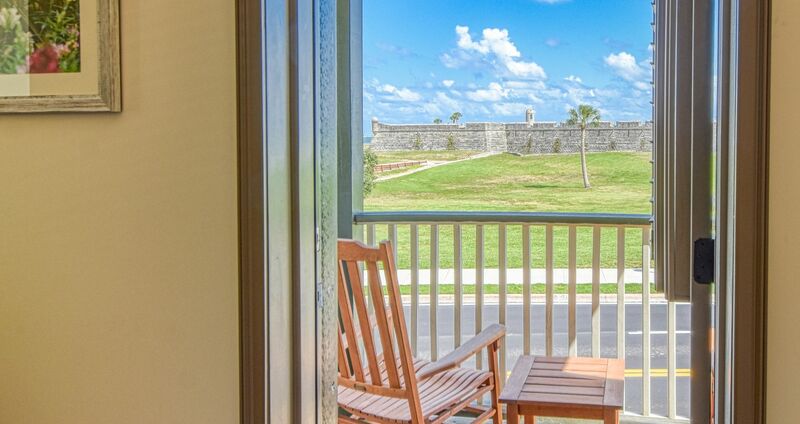 Outfitted with luxurious upgrades, sweeping views, and spacious floorplans, these rooms and suites boast the best of our St. Augustine hotel. Whether you're here for an occasion, or simply want to enjoy the finer things while you're visiting, the Castillo Plaza rooms are your answer. 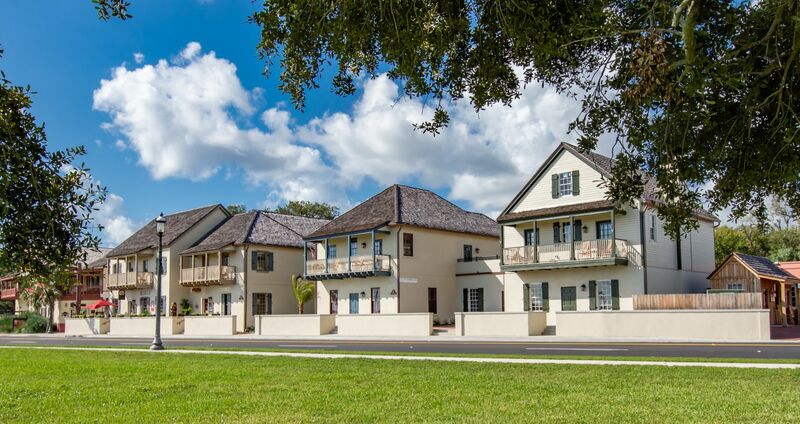 The Castillo Suite features a full living space, formal bedroom, and luxury amenities. One of the most elegant suites in St. Augustine, Florida, the Castillo Suites have elevated the St. George Inn's luxuries to pure bliss. Book one of these three Old Town suites, and experience all the city has to give: a formal bedroom with a king size pillow top mattress, a living room with a queen-size sleeper sofa, and large wraparound balcony welcome you to these breathtaking accommodations. Inside, you'll find a wet bar, televisions in both the parlor and bedroom, dining table, and stand up shower with a therapeutic bath. 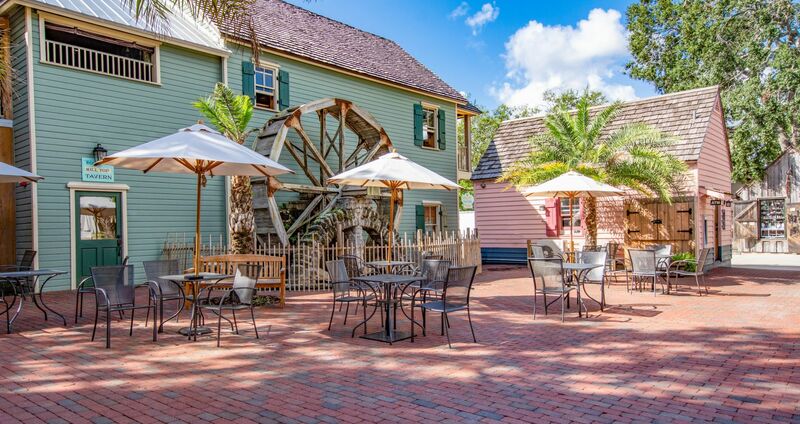 Choose your view of the courtyard or historic St. George Street, and embark on a St. Augustine journey you'll never forget.